Butterflies are beautiful creatures, and every gardener enjoys seeing these delightful insects fluttering around the blooms in their gardens. Monarch and swallowtail butterflies are among the most recognized butterflies, and attracting these beauties into your garden will also invite many other types of butterflies to visit. Planting a butterfly-friendly garden will bring in the locals, which might include spicetails, painted ladies, and red admirals. Plant a few different types of the plants and flowers that they like to eat—both as caterpillars and then later on as adults—offer them water and shelter, and the butterflies will come. Planting a butterfly garden does not require a lot of space, and many nectar-providing annuals and perennials can be grown successfully in window boxes and containers. Planting the different types of flowers and plants that butterflies need for each phase of their life cycle, from laying eggs and feeding hungry caterpillars to providing nectar for adults, ensures that these beautiful creatures will visit your garden year after year. To increase the chances of attracting the local butterflies from the surrounding area into your garden, plant a variety of native flowering plants and shrubs. Butterflies are attracted to milkweed plants, and they also feed on the blooms of purple coneflowers, coreopsis and tickseeds, bee balm, and the popular buddleia butterfly bushes. Many annuals offer nectar-filled blooms that attract butterflies, including cosmos, marigolds and geraniums. Adding native plants such as goldenrod, thistle, and Joe Pye weed increases the diversity in the garden and provides natural food sources for attracting monarchs and other butterflies. Plant your butterfly garden in full sun. Entice the adult butterflies to visit your garden by offering the nectar from a mixture of annual and perennial flowers. Extending the blooms from different plants throughout the spring and summer will encourage butterflies to stay in the garden longer, and perhaps to lay their eggs and begin the cycle for the next generation of butterflies. Commonly known as butterfly bushes, the flowering shrubs in the buddleia family are easy to grow and popular feeding sites for monarchs, swallowtails and other butterflies and hummingbirds. Buddleia plants bloom profusely from mid-summer into fall and are available in a variety of colors from creamy whites, pale yellows and pink flowers, to light lavender and deep purples. 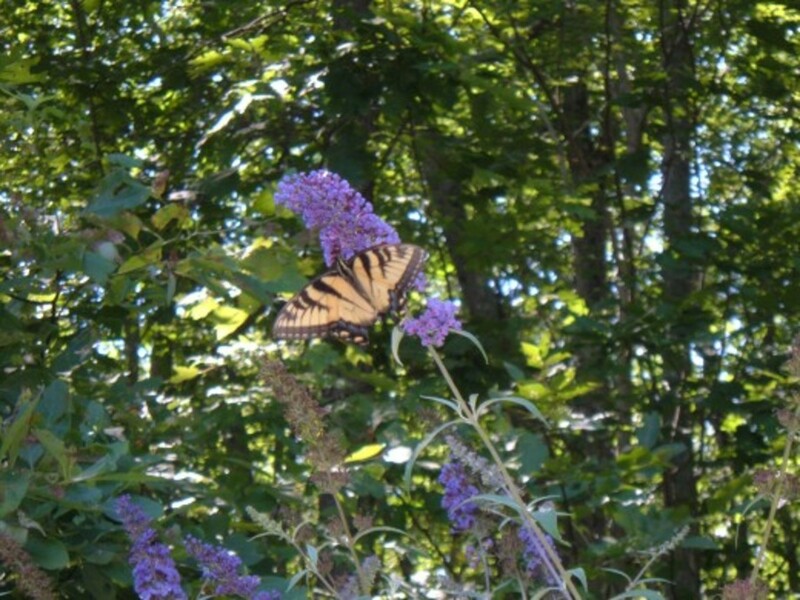 In our yard, the butterfly bushes with the yellow and dark purple blossoms seem to attract the most attention from a variety of different butterflies. 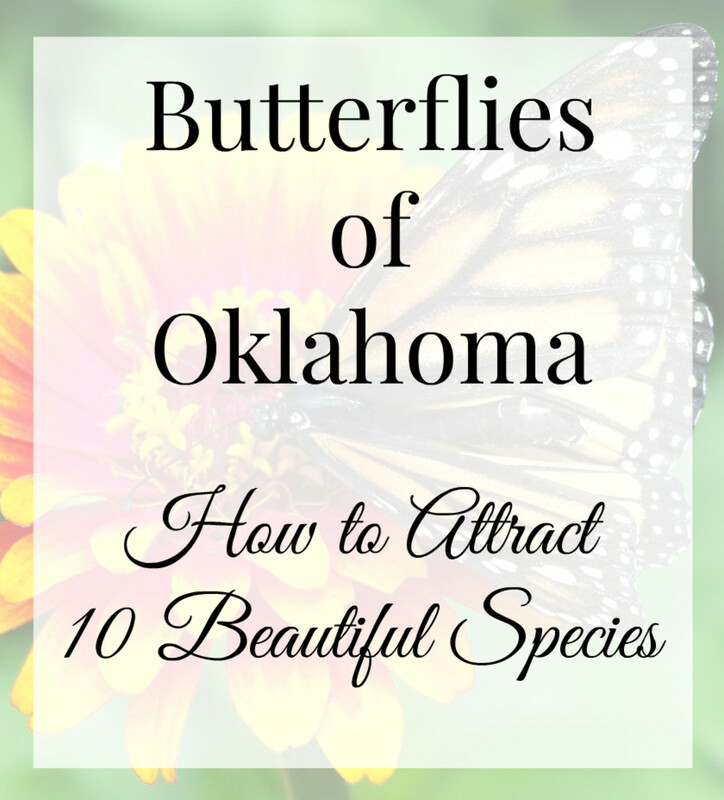 Butterflies are attracted to brightly colored flowers with strong scents. Monarch caterpillars feed almost exclusively on the leaves of the milkweed plant, and adults also feed on the nectar from the milkweed's flowers. There are many different varieties of milkweed available, and planting several varieties of asclepias extends the bloom periods for feeding adult Monarch butterflies. 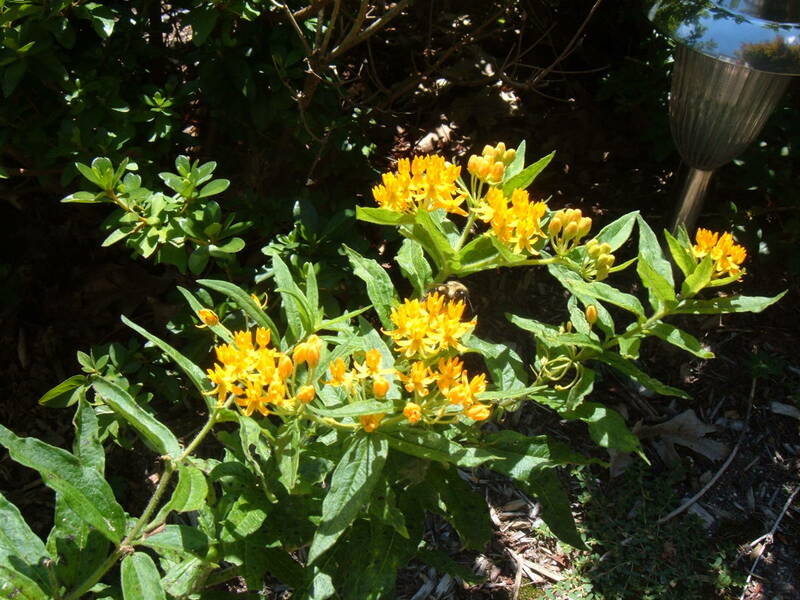 Choose from varieties including the common milkweed, the orange flowering butterfly weed (Asclepias tuberose) that is also available with yellow blooms, and the swamp milkweed. The Mexican milkweed is tropical variety and grown as an annual in most locations. Monarch butterflies lay their eggs on milkweed plants in late spring, and the tiny eggs hatch into caterpillars in about a week. The little caterpillars munch away at the leaves of the milkweed plants for three to four weeks, growing quickly before preparing to pupate. After approximately two more weeks, a beautiful monarch butterfly emerges to flitter across the garden in search of nectar. Broad spectrum pesticides and other poisonous chemicals kill butterflies and their caterpillars along with many other beneficial insects. 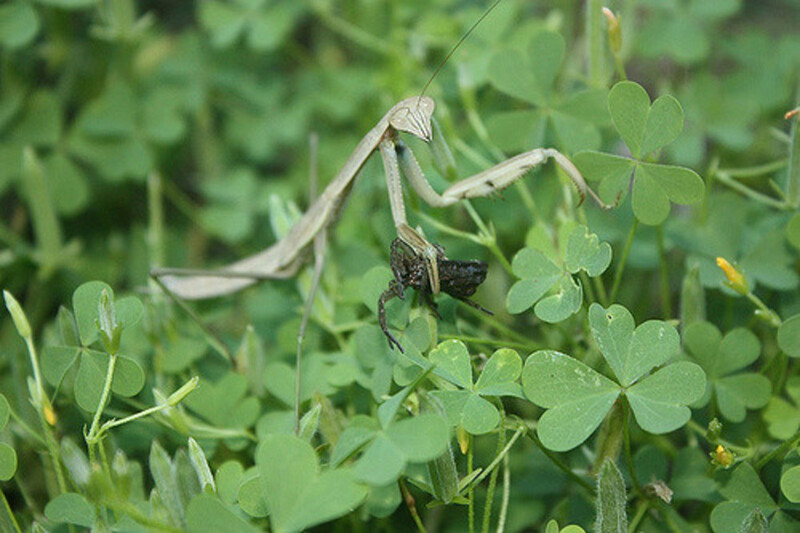 Not every bug is a pest, so take the time to learn the differences between the beneficial insects and the harmful bugs in your garden. Most pesticides do not discriminate between the pests and the unintended victims such as butterflies and other beneficial insects, wiping out the "good" bugs as well as the target species. Instead, use organic controls such as a blast of water from a garden hose or hand-pick slugs and other nasty bugs. Oils and insecticidal soaps are also effective in targeting soft-bodied insects and aphids. If chemical control is needed in certain areas, be careful to use pesticides targeted towards specific bugs. Do not spray pesticides on the flowers and shrubs in your butterfly garden. 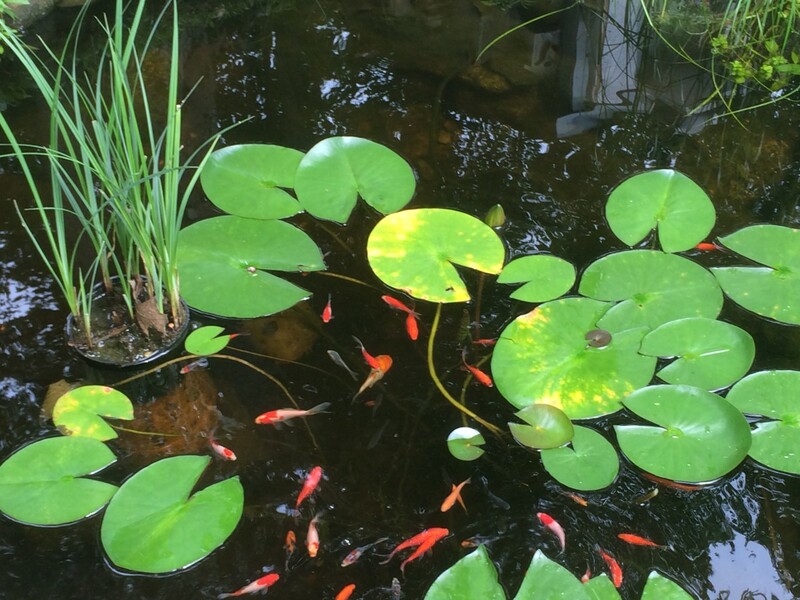 Place a few small stepping stones on the bottom of a birdbath for the butterflies to land on when they need a drink of water. Better yet, create a mud bath by filling a low pan with dirt and adding water to make a muddy mixture (an old Frisbee works well). For a treat, a watermelon rind placed in the garden near nectar-producing plants will attract thirsty monarch butterflies. Butterflies need protection from the winds, cool nights, and heavy rains. Butterflies take shelter among the leaves and branches of trees and shrubs and under the protection of garden structures. 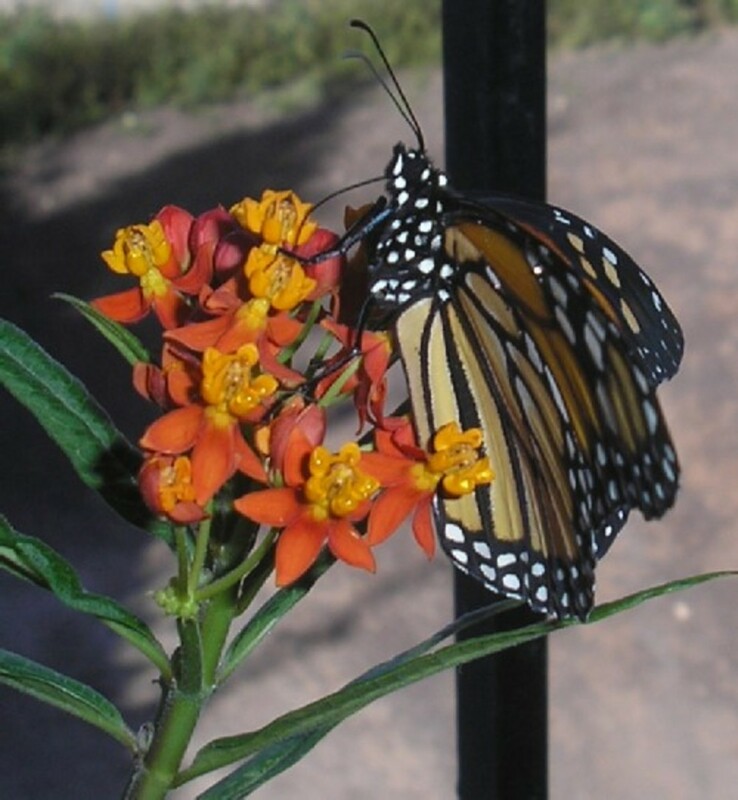 Monarch butterflies and other insects may also take refuge in a specially designed butterfly house, available at birding specialty stores, several online sources, or you can build one yourself. 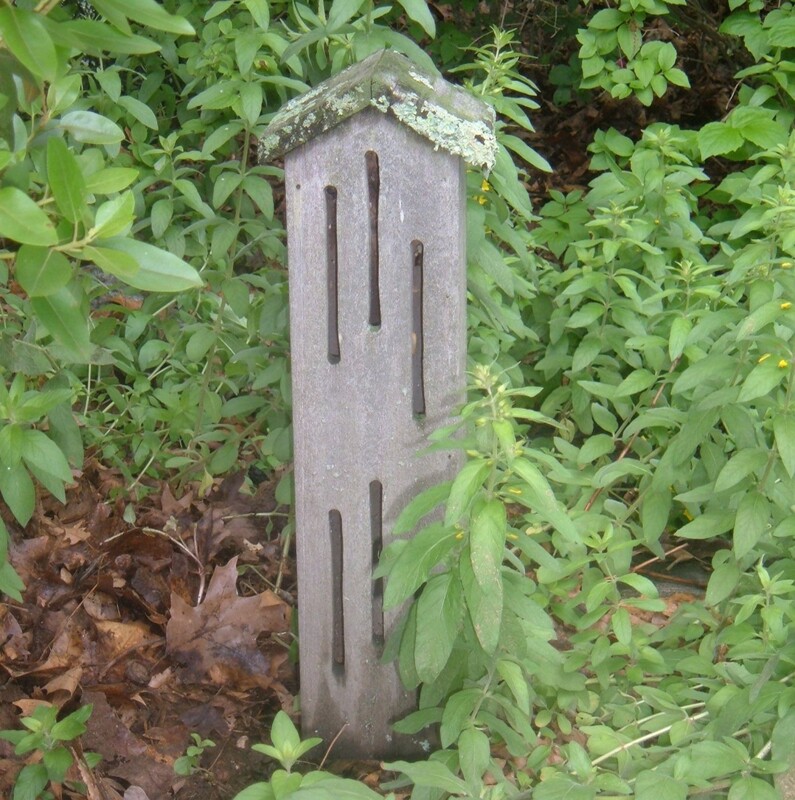 While entomologists and biologists question whether or not butterflies will actually use butterfly boxes to take shelter from the storm, every gardener will agree that butterfly boxes look great in the garden. Make butterfly boxes from cedar or redwood, and let them weather naturally to a warm silvery gray. Or make the butterfly boxes out of inexpensive pine and paint them in bright colors. 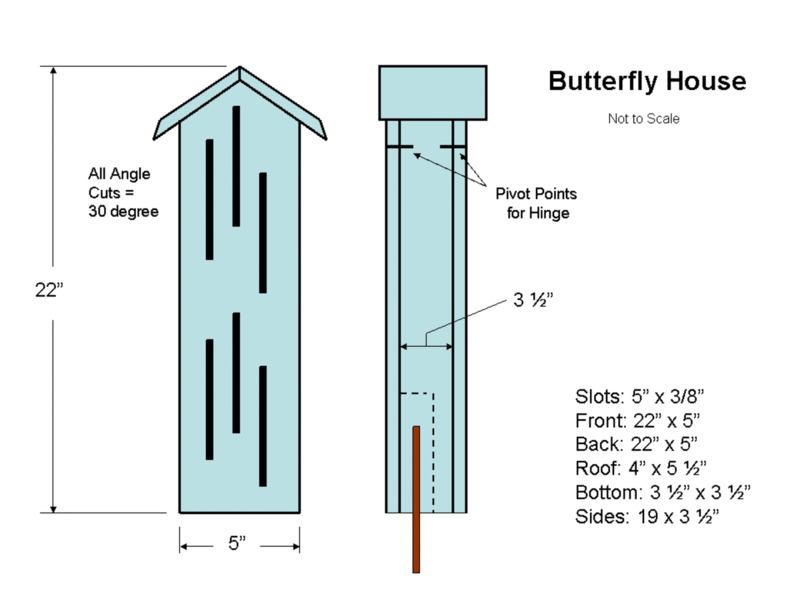 Here are the plans of a typical butterfly house. 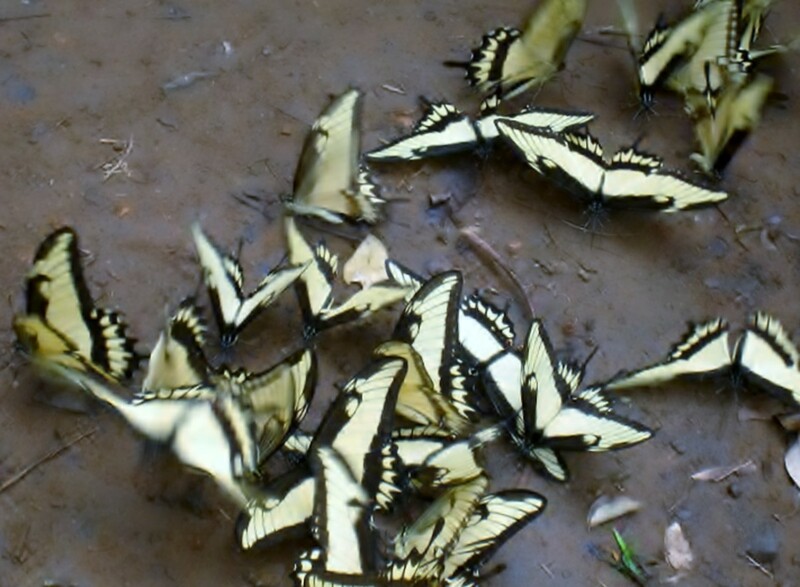 Yes, butterflies are common visitors to my yard. Yes, and I plant flowers and bushes to attract more butterflies. Yes, and I want to add more butterfly-friendly plants. No, I haven't seen any butterflies where I live. 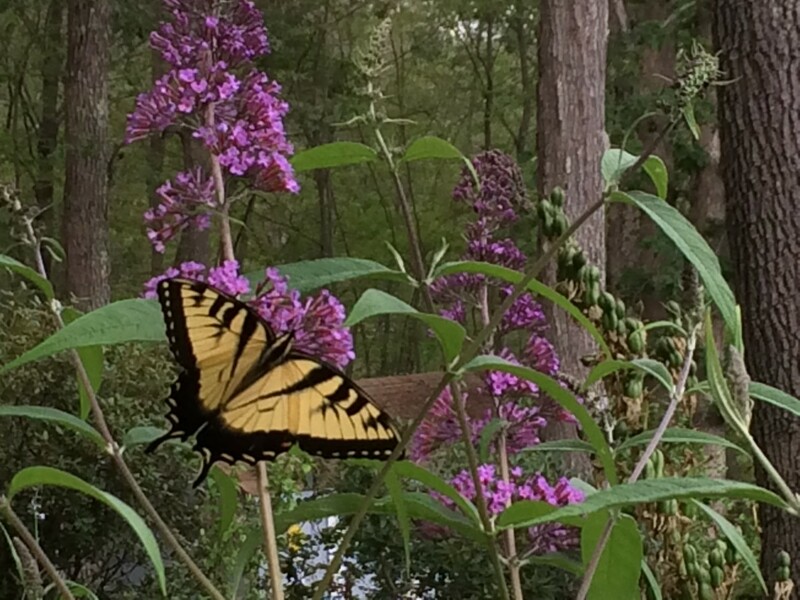 A butterfly on a butterfly bush. The smallest butterfly, the blue pigmy found in California, is less than an inch in size. 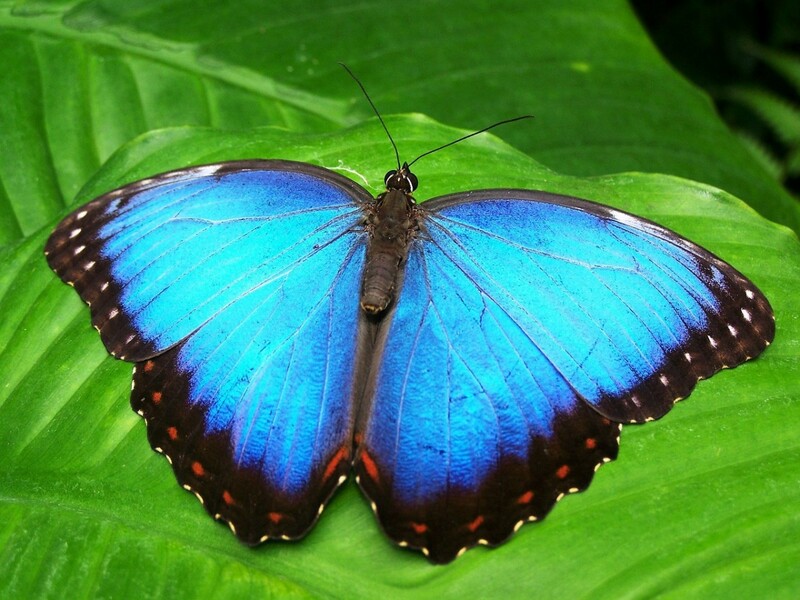 The largest butterfly is the Queen Alexandra of New Guinea and can measure 12 inches from wingtip to wingtip. Butterflies cannot eat and can only drink. Used to sip nectar from flowers, the butterfly's long flexible tongue is called the proboscis. Butterflies can see ultraviolet light, which aids them in their search for nectar-filled flowers. They are only active during the day and rest at night in sheltered areas. Butterflies cannot hear. They taste through their feet and smell through their antenna. Amazing lens! If I could still bless lenses I would bless this one! 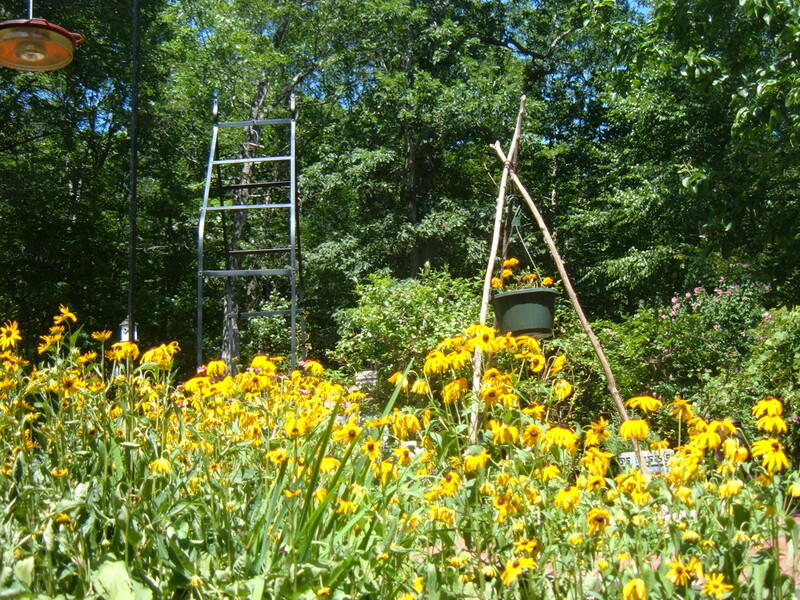 I have about a dozen perennial gardens on our acre and I have several butterfly bushes and lots of butterfly attracting plants. This year I am adding some milkweed and more butterfly bushes. We mostly get Monarch, Swallowtail (my favorite!) and Painted Ladies here. Love the hummingbirds too! I love having the beautiful butterfly soaring through my yard. Funny thing is that although we don't live near water it is the dragonfly that I most often see zipping past. They eat mosquitoes so that makes me perfectly happy. Beautiful lens. Thanks for the suggestions in attracting butterflies to our gardens. I will add some of these flowers. You know, spring is 6 weeks away and I can't think of a better way to get started by preparing to welcome butterflies, the jewels of the air to our gardens! Refreshing the angel dust while here. When I had a garden I sure enjoyed attracting butterflies, the gems of the garden. I love your suggestions and only learned this year about planting milkweed for the Monarchs to feed on when young and as adults. Providing a mud bath for the butterflies is new to me and fun to learn and the watermelon rind for a drink treat would surly be appreciated.